Check out this beautiful poster art by artist Nikita Kaun. 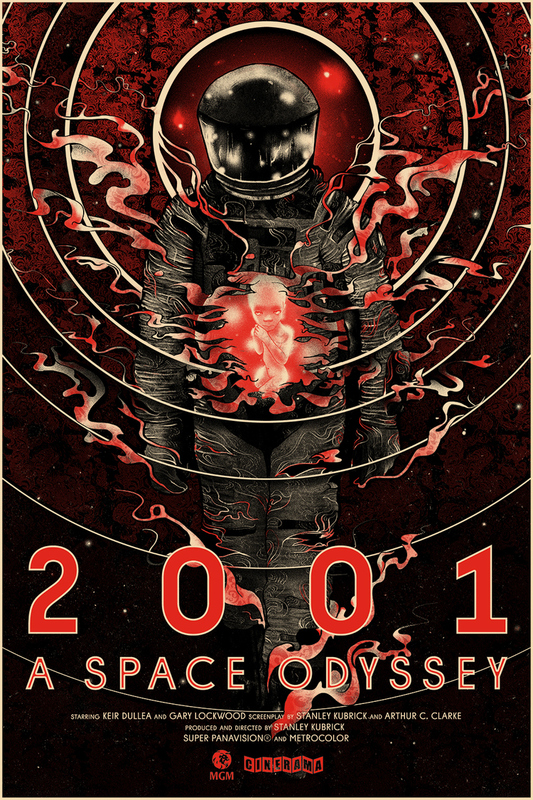 This is the artist’s tribute to Stanley Kubrick’s classic sci-fi film 2001: A Space Odyssey. I’m not sure what it is, but this art really captures the mystery and wonder of the film in a cool and modern way. I love all of the detail, and the color palette is perfect. This stunning 24″ x 36″ poster is part of a limited run of 75 prints. It’s supposed to be available from Cult Classic Prints, but I don’t see it on their website. I’m not sure if that means it’s already sold out, or it has yet to go on sale.